My word, when I signed up my musical alter-ego, Ebauche, to receive royalties from Last.fm, never did I think it would expand my wallet so massively. 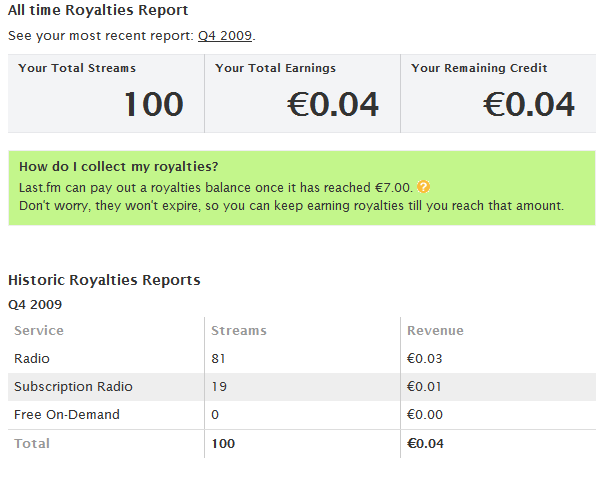 Below is a screen shot showing my royalty earnings. I am loaded. Ladies and Gentlemen, the champagne is on me 1!